Last year the town announced plans to coordinate a 9-11 living history initiative. We plan to interview survivors, first responders, observers, family members --those who were impacted by 9-11. We want to tell their stories. The first interview is now complete. The interview was conducted by Barry Liebowitz of Greenburgh. We're looking for additional interviews. We have a great team of volunteers who are donating their services to the town and expect that future interviews will be televised at different locations: at police , fire, ambulance headquarters in the villages and unincorporated section of town. We can conduct individual interviews. Or--if a group of people are interested in being interviewed together, we could arrange for that kind of interview. I also hope that children of first responders will interview their parents as part of this project. 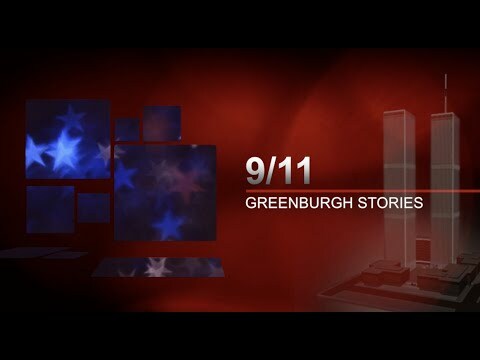 The interviews will be aired non stop every 9-11 on Greenburgh public access, the stories will be given to the library to archive, we will share the interviews with the 9-11 museum in NYC and will also give copies to school districts. Years from now future generations will have a better appreciation of the impact 9-11 had on individual Greenburgh residents lives. On September 11, 2001, Mark Baron was on the 70th floor of the north tower of the World Trade Center when the first hijacked commercial plane struck the tower. Mark, who lived in Edgemont at the time, was doing contract work for the Port Authority. Episode 1 - Barry Leibowitz Interviews Mark Baron, 9/11 Survivor Presented by the 9/11 Living History Committee in the Town of Greenburgh 2019.